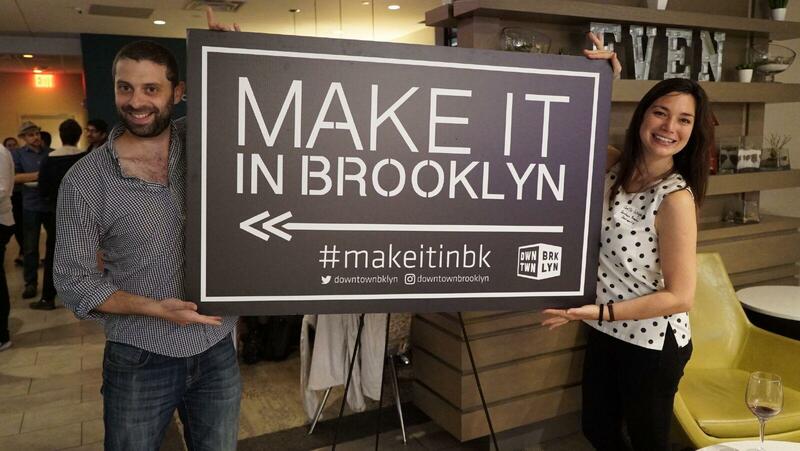 In October DBP hosted Make It in Brooklyn’s third meetup of the year, in partnership with new VC fund, Big Idea Ventures. 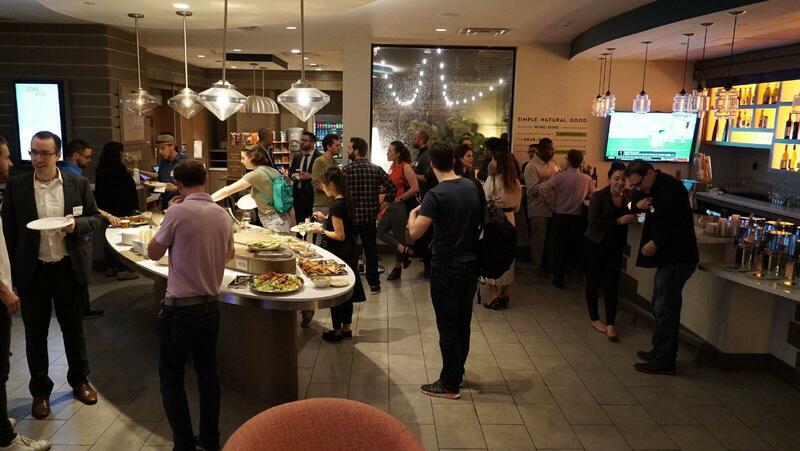 Startup founders, entrepreneurs, and members of the Brooklyn tech community came together to hear about the launch of the new fund and to network over yummy food and drinks at Even Hotels Downtown Brooklyn. Big Idea Ventures, is a new accelerator and venture fund that helps cultivate and catalyze companies reinventing the future of protein. The program aims to expand the protein industry by providing the necessary expertise and support to early-stage startups that specialize in producing clean and plant-based food products. They plan to launch in NYC in 2019. 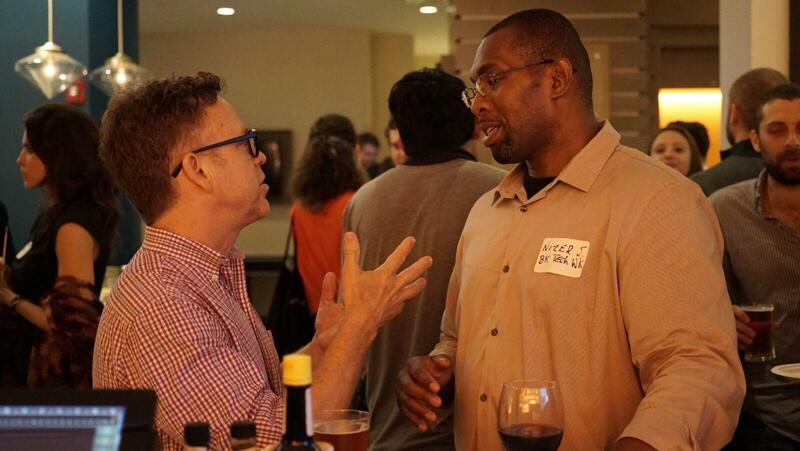 In keeping with September’s pitch contest theme of food innovation and agtech, this meetup saw a big turnout from entrepreneurs with big ideas and businesses focused on the future of food. 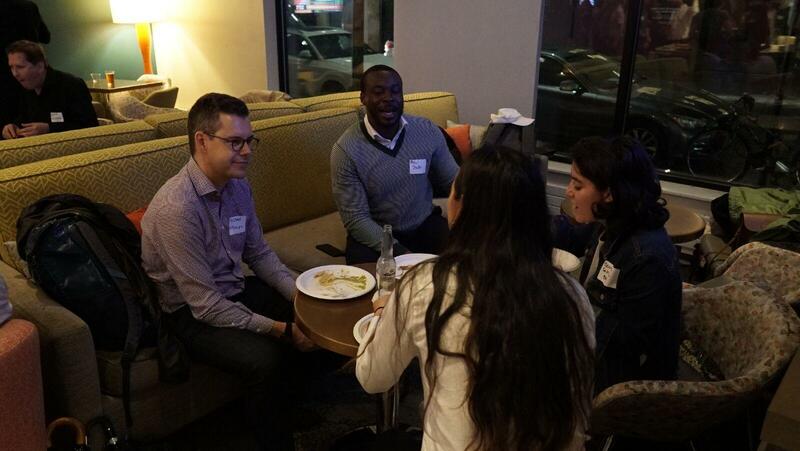 Make It in Brooklyn’s series of meetups, held quarterly, are networking opportunities that leverage Downtown Brooklyn Partnership’s ability to facilitate and foster relationships within the innovation space. Special thanks go to our sponsor, NYU Tandon School of Engineering, our partner, Big Idea Ventures, and our venue sponsor, EVEN Hotels, for their help in making this event possible. Thanks to all from the Brooklyn and NYC tech community who came out for the event.